For the newest little ones to join the world, the onesie is an everyday essential. 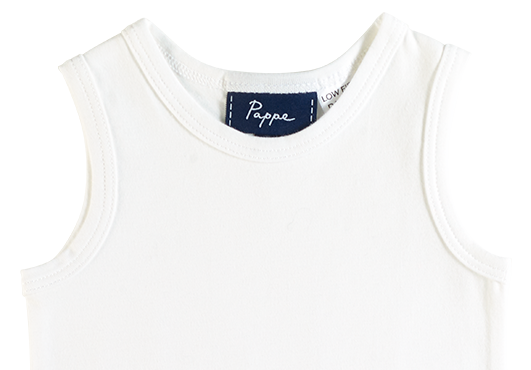 This pure, organic Turkish cotton sleeveless style brings simple, comfort, durability and a soft touch to the supple skin of your precious baby. The crew neckline and snap openings ensure easy dressing and an effortless contoured fit. A true staple piece, perfect for layering.